A new LG device featuring model number LG-LS450 has just been approved by the FCC. 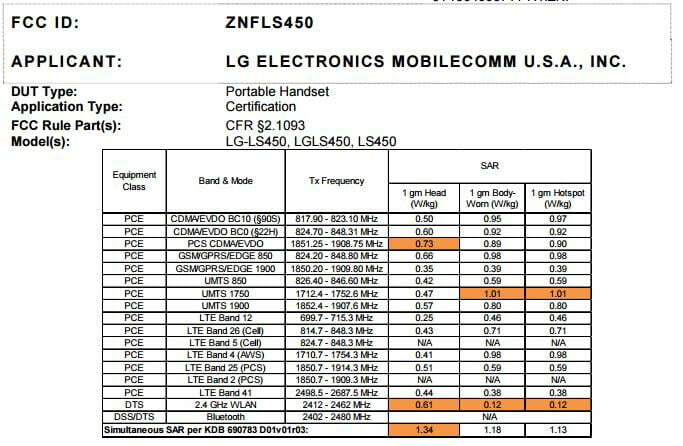 According to FCC documents, the upcoming LG LS450 supports LTE bands B2, B4, B5, B12, B25, B26 and B41. Other details of the device was not disclosed by the FCC documents. The LG LS450 device has been spotted in a User Agent Profile on Sprint’s website. Now we can only confirm that the device is coming to Sprint and Boost mobile.